There are a few Segway companies operating in Jerusalem today, offering Segway tours around the main sites and attractions of Jerusalem. Whether you are a Jerusalemite, an Israeli, or a visiting tourist, Segway tours around Jerusalem are a unique experience, and a fun and exciting new way to discover the Holy City. Segway is a newly developed transportation vehicle operated by an advanced technology, based on sensing the body's vibrations. The tour will literally sweep you off your feet. 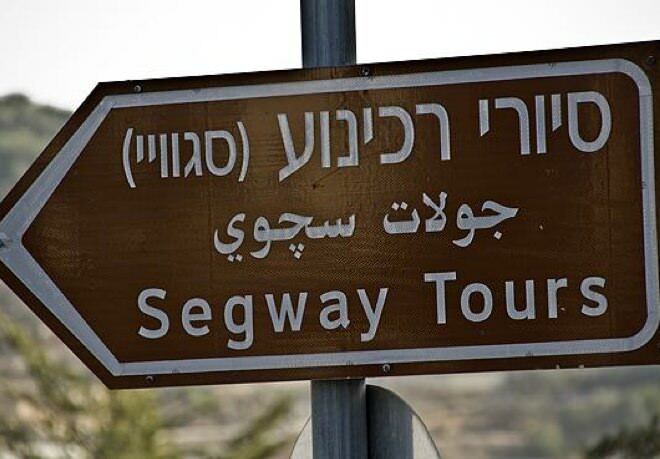 Most of the segway tours offered by Jerusalem's Segway Companies today are focused around Jerusalem's important historical and cultural venues: The Old City, Yemin Moshe and Mishkenot Sha’ananim, The Governor’s Palace Promenade, The City of David, and around the Knesset and Rose Garden area. Each and every one of these venues will reveal Jerusalem's beautiful hidden alleys, historical and national sites, and breathtaking views. 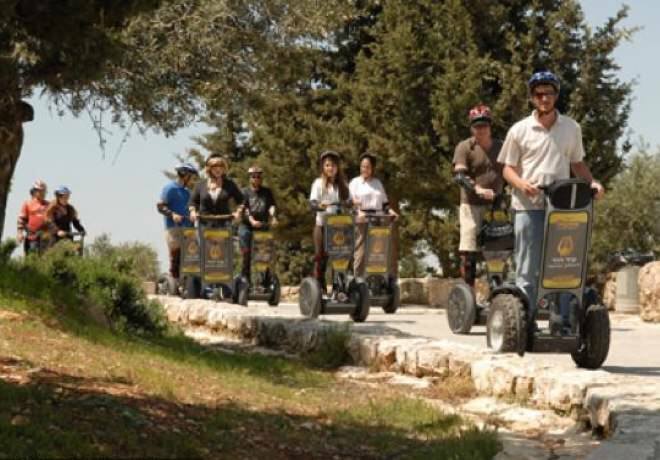 Several Segway tours can be integrated with guided walking tours, culinary tours and other group activities, such as team building activities, etc. Please note that Segway tours are suitable for people between the ages of 16-65, and are not suitable for people who weigh over 120 kg, or pregnant women.